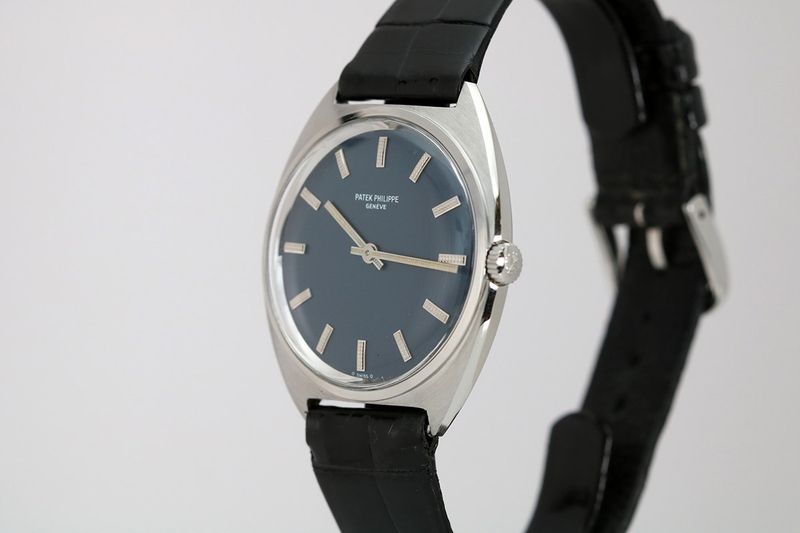 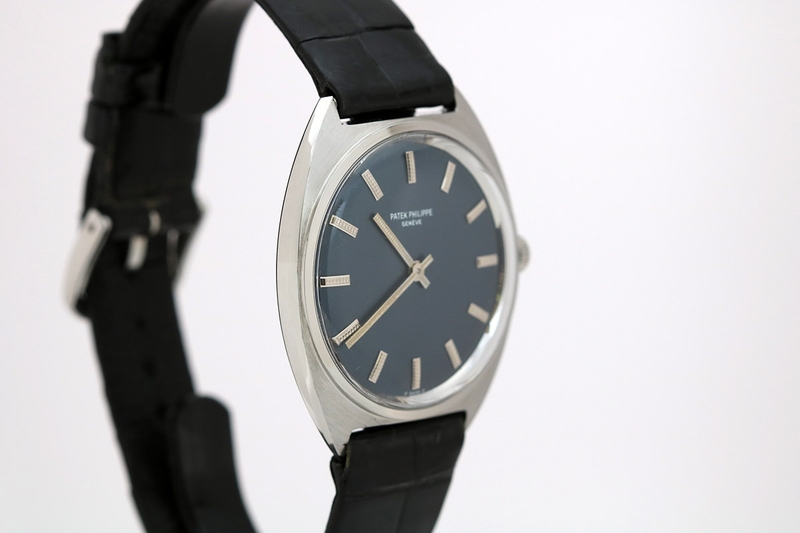 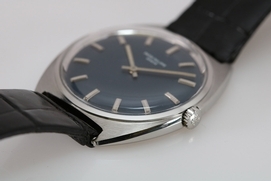 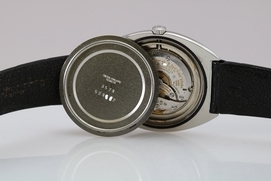 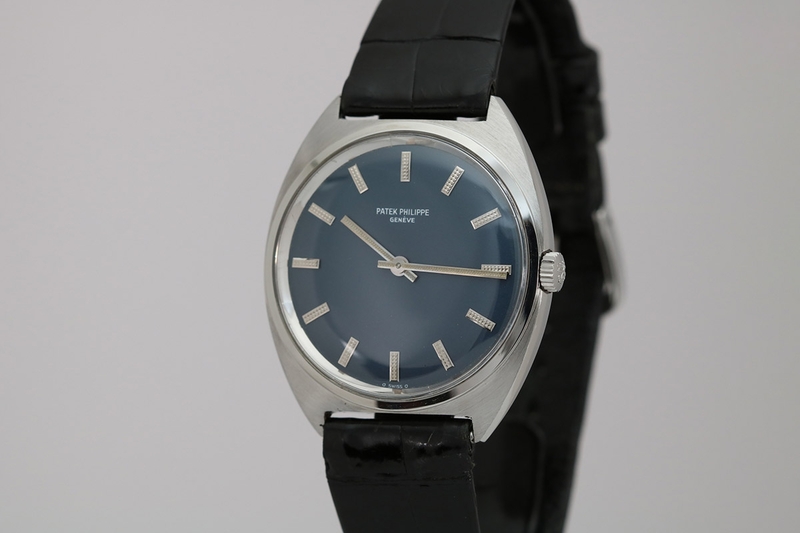 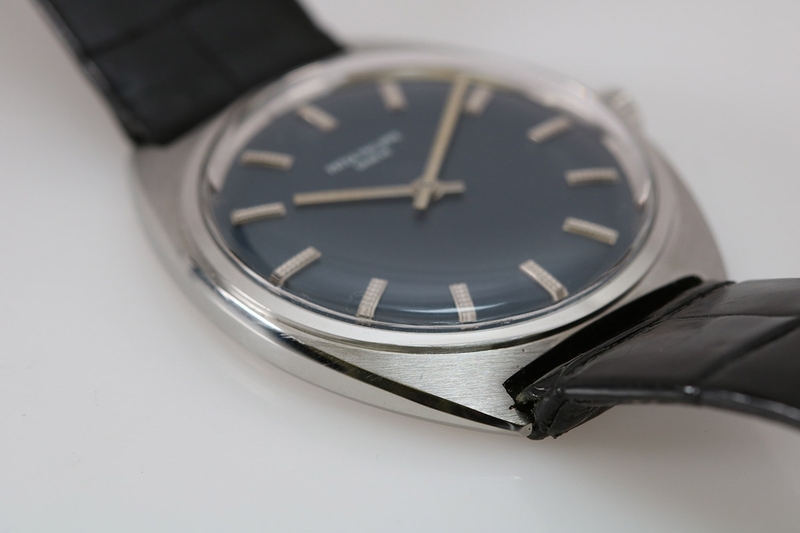 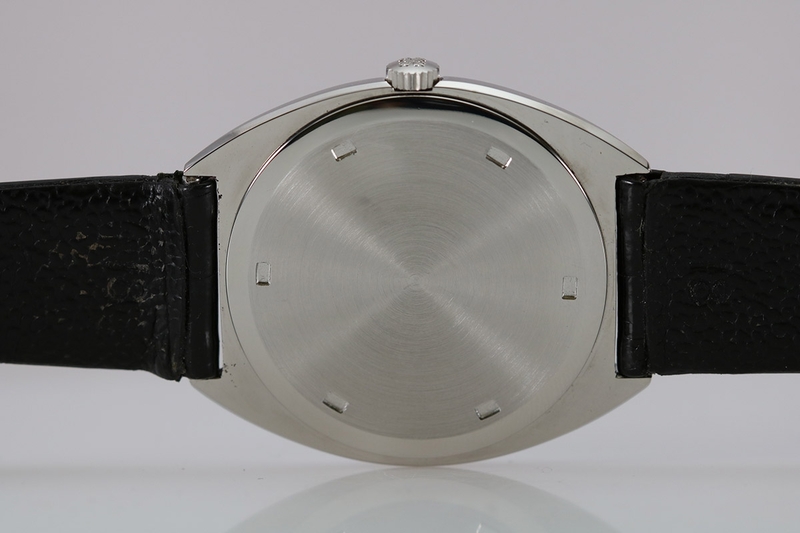 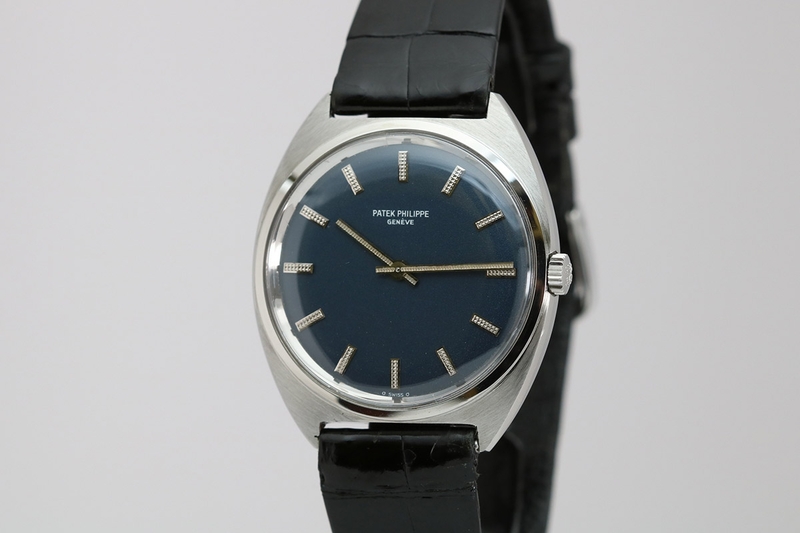 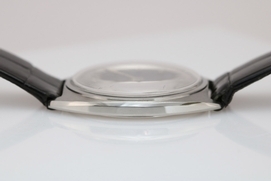 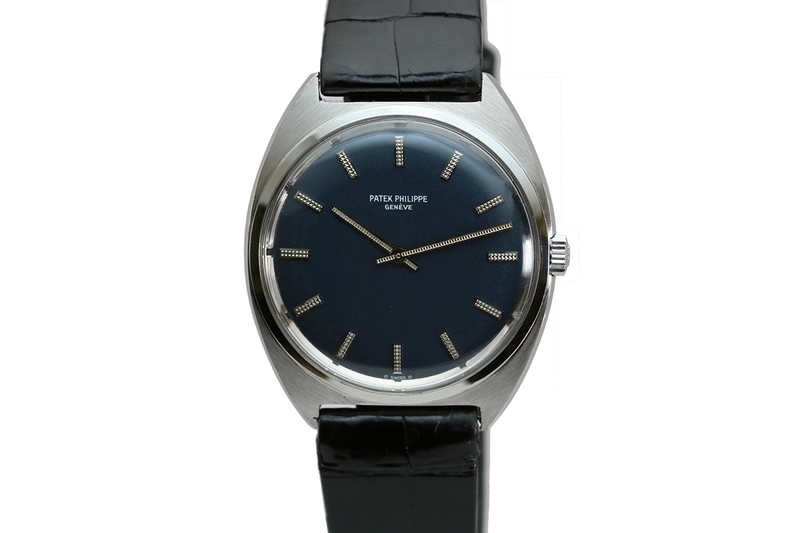 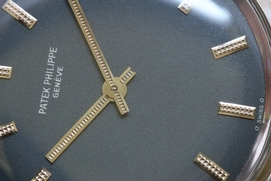 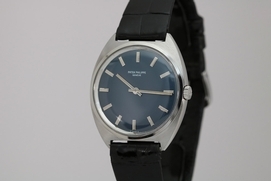 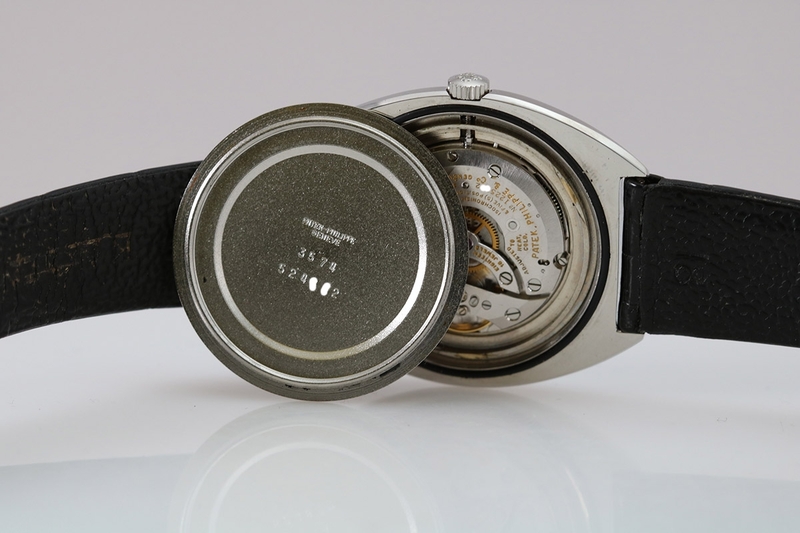 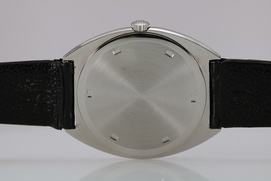 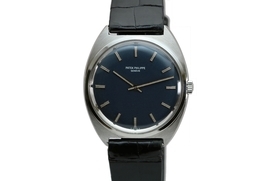 This is a beautiful slim tonneau shaped dress watch by Patek Philippe. This reference 3574 has an elegant blue dial, textured indexes with matching hands and is run by a manual wind caliber 23-300 manual wind movement. 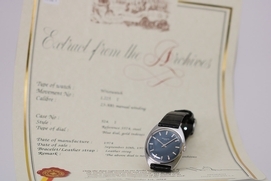 Comes with the Extract from the Patek Philippe Archives.